Prepare to be blown away by this stunning dronelapse of Hawaii's island of Oahu, compliments of contributor Jonasgutzat and his DJI Mavic Pro 2 drone. 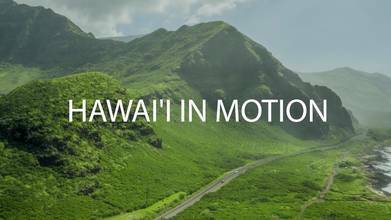 The video features amazing timelapse shots of clouds drifting over coastal mountains, epic aerials of the Waikiki beachfront in Honolulu, and other sights from the mountains above the city. The power of the MP2 is on full display; when combined with skillfull piloting and editing as it is here, the possibilities for stunning content creation are endless. Description: Hawai'i is constantly changing creating some breathtaking sceneries that are hard to capture in real-time. So sit back and enjoy this compilation of hyperlapses shot over the course of over 3 months!